A version of this article previously posted on Distiller Mash Bill and can be viewed here. If you’ve been tasting Irish whiskeys lately you might have come across the term Single Pot Still on the label, and had a few questions. Is it the same as single malt (a term which basically means that all the liquid in the bottle was made from a single type of malted grain, at the same distillery), as with Scotch and other world whiskies? What is a pot still, anyway? Why does its singularity matter? To answer the first question, it’s almost like a single malt. Same basic concept - the whiskey is produced at a single distillery from a single grain. But what distinguishes single pot over single malt is that single malt is only made from malted barley and produced all around the world, whereas single pot is only legally produced in Ireland and made with both malted and ‘green,’ a.k.a. unmalted barley. The reason for this is the unmalted barley adds a unique character to the whiskey, makes it more, well, barley-ish. When you taste them, you might have noticed a distinctive spiciness, more of a weighty, grainy texture and funky cereal flavor that isn’t as present in a Scotch, or even other types of Irish whiskeys. It has more depth. The reason this mashbill method came about, by the way, harkens back to a time in the 1800s when Irish distillers were paying up the swan’s neck (more on that below) on malt taxes. As a work around with the excise agents, they began cutting their malted barley with green barley so they could turn more of a profit. Lucky for them it actually had a pleasant effect on the whiskey when done right. Another difference is that unlike most single malts, with the exception of precious few such as Auchentoshan Scotch, single pot still is always triple distilled. Which brings us to the still itself. If you think about it, referring to the type of still used for this specific category is kind of bizarre considering that a lot of the world’s finer whisk(e)ys (and rum, tequila and other distillates) are made in a version of a pot still, which is the copper one with the rounded base and collared, bent neck, or ‘swan’s neck.’ The other kind, the column still - a.k.a. continuous still, Coffey still, or patent still - is usually made of steel and is the kind used to make most of the world’s clear beverages such as vodka and dry gin as well as grain whiskey used for blends. So basically, if you want your spirit to have some inherent flavor and complexity to it, you make it in a pot still. To make matters even more confusing, up until 2011, the whiskeys were labeled as “Pure Pot Still.” If you see these on a label, you know you have a “vintage” bottle. At present, there are only a couple of brands out there making Single Pot Still Whiskey for commercial purposes. The category became less popular in the 20th century when Scotch began to dominate the marketplace, not to mention complications from the Irish War of Independence and the American Prohibition. But with the resurgence of classic drinking habits in the 2000s, it’s finding a new fan base with whiskey aficionados and various history minded booze nerds enthusiasts. Hopefully we start to see more on the way. Read full reviews for all the following whiskeys on the Distiller app and on the website! Redbreast 12 Year Old Cask Strength - the full flavored proof version of this fine aged whiskey. Green Spot and Yellow Spot - new to the American market in just the past couple of years (the Yellow Spot only started importing last month!) these whiskeys get their flavor from both bourbon and sherry cask aging. The richly flavored non age statement Green Spot is aged 7 to 10 years while smooth, sweet and mellow Yellow Spot is aged 12 years and gets an additional finish from Malaga wine casks. Power’s John Lane - Don’t shoot! This SPS version of the popular blended whiskey, named for the now shuttered distillery where Power’s was first produced, is meant to be sipped. The Irishman 12 Year Old - This bronze medal winner of the 2014 NY International Spirits Competition) is muchly smooth, honeyed and satisfying. 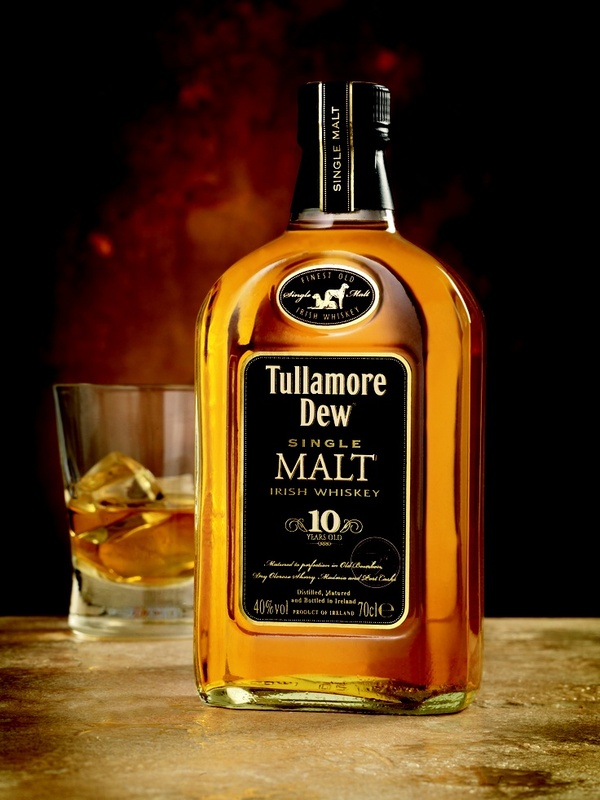 Tullamore DEW 10 Year Old - Aged in 4 different types of casks - bourbon, sherry, port and madeira - this criminally overlooked whiskey is beautifully complex. Knappogue Castle 14 Year Old - Aged in both bourbon and sherry woods, this delicate whiskey is light in texture, but heavy on substance. Enjoy your St. Patrick's Day! Sláinte!